Purpose: Describe glory in a way people can understand. Goal: That people would be changed as they see, savor, and magnify the glory of God. One of the best advantages of only preaching a handful of times is that I get to share some of my favorite texts. o Each time I’ve been able to preach I’ve been able to highlight parts of the Bible that have been personally meaningful and helpful. o These are foundational truths for me that have shaped me and my ministry for a long time—so it’s easy to talk about. o They’ve been tested—and the longer I cling to them, the more I can find them sturdy enough to support the weight of this world’s disappointment, sorrow, and frustration and continually bring me hope and encouragement. o We’ll spend our time in 2 Corinthians 3:1-18, so you can turn there while I explain the second reason for this text. o I think I’ve softened a bit since college—I’m not as bitter or cynical about it as I used to be—probably because of how often I’ve realized that I end up speaking Christianese! o But I still grate against classic Christian words and phrases that mean the world to certain Christians and Christian posers. o I remember having a conversation with a cute girl in college; she was pretty, smart, loved Jesus—but she was very fluent in Christianese. No. I don’t know. And I don’t think you know either. The thing is, I don’t know if she really had experienced those things and honestly couldn’t figure out a way of explaining her faith to someone OR if she had NO CLUE and was just using a bunch of stuff she’s heard other people say in order to sound spiritual. I actually think she was authentic—I really think she has tasted the goodness of God and wanted people to know about it. But I was repulsed! In retrospect, I think I felt that way because of my own immaturity and inability to express my own faith is such lavish terms, but I still don’t know if it’s helpful to speak like that—not to everyone. o As Christians, we have a VERY important message to share with the world. And this means we need to speak and use words. And words matter a lot. If no one understands what we’re saying, it doesn’t matter how true it is; it may not be helpful. o I honestly don’t want you to feel bad. Depending upon your audience, these are incredibly godly, helpful, (sometimes even biblical) words. But they also might cause other people to roll their eyes. It’s important that we know what we mean when we talk about anything—especially Christian things. If we use words without understanding the meaning, it’s like an M&M without the chocolate on the inside—It’s a thin candy shell that looks goods, but it has none of the great substance. And when someone presses you on it, it might shatter. For me, glory is one of those words. o Churches use it all the time. o It’s on the front page of your bulletin: Keystone Church exists for the glory of God. o Christians want their lives to glorify God. o And we should because the Bible talks about glory—a lot! 1 Are we beginning to praise ourselves again? Are we like others, who need to bring you letters of recommendation, or who ask you to write such letters on their behalf? Surely not! 2 The only letter of recommendation we need is you yourselves. Your lives are a letter written in our hearts; everyone can read it and recognize our good work among you. 3 Clearly, you are a letter from Christ showing the result of our ministry among you. This “letter” is written not with pen and ink, but with the Spirit of the living God. It is carved not on tablets of stone, but on human hearts. 7 The old way, with laws etched in stone, led to death, though it began with such glory that the people of Israel could not bear to look at Moses’ face. For his face shone with the glory of God, even though the brightness was already fading away. 8 Shouldn’t we expect far greater glory under the new way, now that the Holy Spirit is giving life? 9 If the old way, which brings condemnation, was glorious, how much more glorious is the new way, which makes us right with God!10 In fact, that first glory was not glorious at all compared with the overwhelming glory of the new way. 11 So if the old way, which has been replaced, was glorious, how much more glorious is the new, which remains forever! 16 But whenever someone turns to the Lord, the veil is taken away.17 For the Lord is the Spirit, and wherever the Spirit of the Lord is, there is freedom. 18 So all of us who have had that veil removed can see and reflect the glory of the Lord. And the Lord—who is the Spirit—makes us more and more like him as we are changed into his glorious image. In verses 1-6, Paul, the author, is continuing this thoughts from the previous chapter. o This is one reason I loved Friday night’s baptism—we heard stories of actual, tangible evidence that the gospel of Jesus Christ is real and effective. o If you’re looking for reason to consider Christianity, consider the lives of those people whose story has been changed by the gospel. We’ll focus more this morning on the subsequent verses 7-18, and a lot on verse 18. Glory is a word that is difficult to define. o There are certain words in the English language that are difficult to define in typical ways. o If I asked you to tell me what soccer was, most of you would do a decent job of explaining to me—it’s a game played with your feet where you try to kick a ball through a goal—whether or not you insert the word “boring” in there somewhere is up to you. o If I asked you to tell me what beauty was, it’d be quite a bit harder. o It’s easier to point to things that are beautiful to understand what beauty is. o And if you point at enough things that are beautiful, you’ll get a pretty good idea of what beauty is. o Glory is more like beauty than it is soccer. o But I think this passage gives us some help in understanding what glory is. Between verses 7-11, the author uses the word glory ten times as he recounts a story from the Old Testament. o In the book of Exodus, a man named Moses asks to see the glory of God. o Though God agrees, he refuses to show Moses his full glory, saying that if he saw his glory in its fullness, he would die. o And just seeing the place where God had passed by causes Moses to glow. o And he actually glows so brightly that when he joins the rest of his friends, they can’t handle it! So Moses wears a veil to keep them from seeing even just the reflection of the glory of God on him. I know this is a bit of a weird story, but I think we can grasp it. o If you’ve ever been on a first date that just goes unbelievably well, or been on a rollercoaster ride that makes you heart swell, or walked up to the edge of the Grand Canyon, or been to a Broadway musical that was incredibly beautiful, or seen the birth of your first child—then you may have experienced a kind of glory that makes you glow. o You might get perma-grin, where you just can’t stop smiling. o The glory of whatever you’ve seen and experienced has changed you. o And if you walk into work or school the next day with that kind of dopey, love-struck smile on your face and you have a gloomy or cynical friend—they might make you put on a veil. o But you can’t because you’ve beheld a kind of glory that’s radiated to you and then through you. o From this story, I see glory as that visible quality of something’s beauty or excellence. If you watched the World Cup, you saw some glorious goals. o What I mean by that is that these world class players have incredible abilities and skills. o They can do things that I could NEVER do as a soccer player. o But unless they do something that demonstrate that’s ability, you don’t know their glory. o However when someone shows a moment of brilliance and you couple it with the greatness of the game itself, the result can be glorious. o Glory is the visible manifestation of excellence. So when I talk about God’s glory, I’m talking about the radiance of all God’s excellences. o His glory is what we see when we see all that he is—which is perfect. o I take this idea, too, from Isaiah 6.
o In this scene, a man named Isaiah is standing before God and he hears the angels singing—it’s actually a terrifying scene with smoke and earthquakes. o Now if you didn’t have a church background or might not have that verse memorized, you might have suspected the answer would be “holiness”. o Holy, holy, holy…the whole earth is full of his holiness. o It’s as if God’s glory is the revelation, the manifestation—the going public—of God’s holiness—his perfection, his absolute beauty, his manifold excellences. If we were able to see all of God’s handiwork in the world, it would be a brilliant display of his glory. 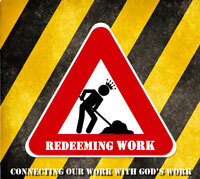 o I believe God is at work in every facet of the world, even the darkest and saddest parts of the world. o And I also believe that in everything that God does, he’s showing forth his perfect wisdom, perfect power, perfect love. o The result is his glory. o The problem is the veil. Did you notice the effect that the veil has on people, particularly in verses 14-15? o Though with Moses, it was an actually veil, like a bride might wear—Paul turns it into a spiritual or metaphorical veil. o Just as a veil kept the people of Israel of seeing the glory of God left on the face of Moses, it also kept them from seeing the glory of God in the Bible. o The veil covered their spiritual minds to keep from the understanding it, and it covered their spiritual hearts to keep them from loving it. o Paul says this is a problem, the veil is keeping the world from doing that which they were supposed to do—mainly see in their minds and savor in their hearts the glory of God. o This is what we mean when we say that Keystone Church exists for the glory of God. o It means that we exist to SEE and SAVOR God—to comprehend with our minds and to enjoy with our hearts all his manifold perfections. o And this is what it means to glorify God. To glorify God does not mean that we add glory to him—it’s not like the word beautify whereupon we add beauty to something. It’s more like the word magnify—to glorify God is to help others see and savor what you’ve seen and savored. A telescope magnifies the small little pinpricks of light in the night sky and helps you to see them for what they actually are—massive, white hot balls of fire. From the world’s perspective, they look small—and a telescope magnifies them to help people see them for what they actual are. You were made to see God’s glory, and when you do, to find that all you’ve ever desired in the glory of created things is met when experience the glory of God. o We mustn’t simply acknowledge it intellectually—for if we do, we haven’t truly known it. o The proper response to seeing the glory of God is to enjoy it. o During the World Cup, I watched every Argentina game because I love watching Messi…he is hands down the best soccer player I have ever seen. o His glory caused me to praise him and persuade others to notice it. o Have you ever been at a restaurant and tasted something so good that you groaned a little bit with delight? o And then have you ever told some, “You gotta try this!”? o When the Bible says that God desires your praise, what he means is that he wants you to find such joy and satisfaction in his glory that your enjoyment of him overflows into praise. This is what glory is. I wish I had more time to talk about all the reasons why glory matters for the life of the Christian. o I want to talk about the fact that EVERYTHING that God does is for his glory—from creating us, to saving us, to caring for us—it’s all done so that we would taste and see that the Lord is good. o I want to talk about the fact that God’s desire for his glory to be seen and savored by us is actually good news—that he is, like CS Lewis says, not an vain women seeking compliments when he tells us to praise him—it’s actually for our joy because we always praise what we enjoy. o I really wish I could talk more about that one! o I wish I could talk about what it means to glorify God—so that whether we eat or drink or whatever we do, it might be for God’s glory. o I really wish I could talk more about that one too! o But from this text, the most important thing I see about God’s glory is that we need to see God’s glory in order to be changed. o When we behold glory, we are transformed. o And this is true for everyone, whether you are a Christian or not. For 30 years a lady named Sally had tried to quit smoking. She tried everything—cold turkey, patches, gum, hypnosis—nothing worked. Her doctors told her that if doesn’t quit, she would die within 10 years. Still she could not kick that habit. Then came her first grandchild. When Sally saw her baby granddaughter, she wanted to see her grow up, so she quit smoking. The glory of her granddaughter changed her in a way that not even life itself could. o It’s not as serious of an example, but I have my own story like that with a little game you might know—Candy Crush. I played Candy Crush all the time. I made sure not to harass my Facebook friends with invitations, but I played a lot. What made me quit? I saw and savored the glory of another game called 2048. I know it’s silly, but in a sense, my affections for the glory of the new game made me quit Candy Crush immediately! If we could, with unveiled face, behold, see and savor, the glory of God, we would be changed. o His glory would dislodge the affections we have for all addictions, all vices, all wickedness. o Our hearts and minds, so enamored by God’s perfect love, power, wisdom, grace, goodness—would bring about transformed lives. o Because God’s glory is of such unfathomable beauty, there is no other glory which could dislodge him once we’ve tasted and seen him for who he truly is. o No addiction is too great to not be overturned for those who have beheld his glory. 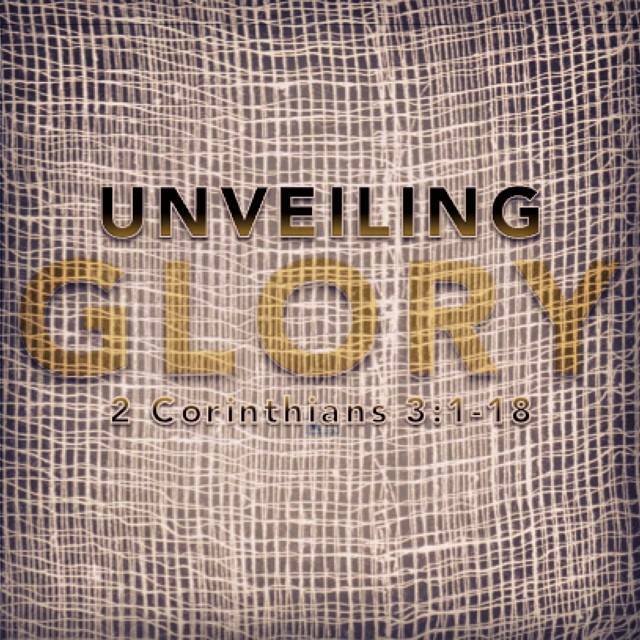 o Verse 18—And we all, with unveiled face, beholding the glory of the Lord, are being transformed into the same image from one degree of glory to another. o From one degree of glory to another…bit by bit. o This is not something that is taught often, but I think it’s absolutely critical—Change, Christian change, often called sanctification—the process of becoming more and more like God—is an INCREDIBLY SLOW process. o The alcoholic who gets saved and never touches a drop again—that happens! o The cynical atheist who gets saved and never doubts again—that happens! o But that’s NOT normal! o People love that testimony, but God’s power to change us is just as strong when it takes years to overcome addictions and decades to wrestle with fear and anxiety and doubt. o Honestly, I prefer to hear the testimony of the guy who says he got saved, and it’s a battle within him, but he’s still fighting to believe the reality of God’s glory over the glory of whatever it is that’s masquerading as glorious. o This is how I battle sin and natural proclivities to destructive attitudes—I remind myself of the glory of God in the person of Jesus Christ and I remind myself of the disappointing and inferior glory of sin. 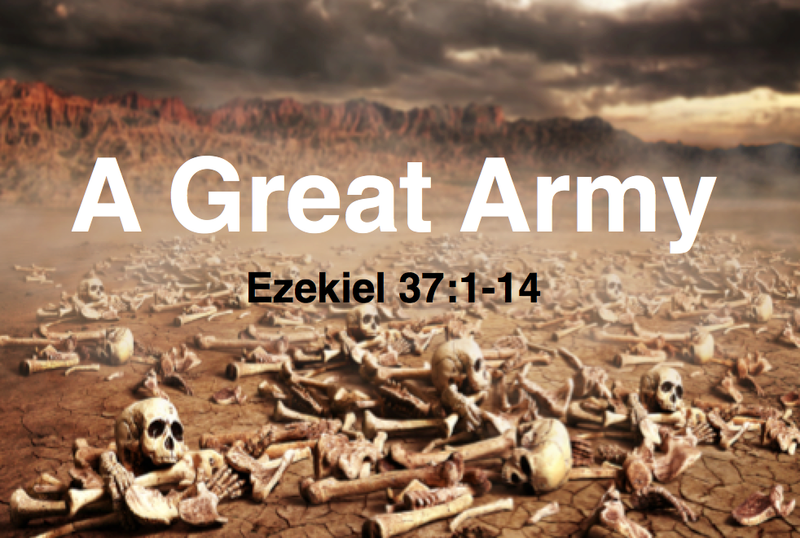 o The more I see of God’s glory, the more ammunition I have against counterfeit glories—but it’s a slow, hard fight. o It’s so slow you may not know its even happening. o Looking at a small sliver of your life may get you discouraged as you find yourself no better today than you were the day before. o You may struggle with the same temptations, the same sins, the same inordinate desires. o But take heart! When God begins to do a good work to transform you, he will see it through to completion…from one degree of glory to another. o Pray that God would show you his glory. o Challenge yourself to open your eyes to see God’s glory. o Radiate God’s glory to the world with your transformed life. If you want to mature as a person and become the person God created you to be, and you know you’re not there yet, the way to get there is to see and savor the glory of God. It’s true that there are forces working against you to keep you from beholding the glory of God. 2 Corinthians 4:4 says that the devil has blinded the minds of some people to keep them from seeing the glory of God in the gospel of Jesus. So in many ways, we need God’s help to open our eyes. But we can ask God like Moses did to show us his glory—I believe God will grant that request. In fact if you’re wondering this morning how you might be able to see his glory, it is likely evidence that God has already begun a process to show you. He may have brought you here this morning because he wants to open your eyes for the first time—to let you see Jesus as your good and loving savior—we call that salvation. Although, it’s not always a veil from the devil that keeps us from seeing God, it may be that we’ve got our own eyes clinched shut. On mission trips, I often will put together journals for our teens that I call Fingerprint Logs. I tell them that the fingerprints of God are everyone—the whole earth is full of his glorious handiwork. Sadly I think we have subtly trained ourselves to not see his fingerprints and, instead, chalk favorable circumstances up to coincidence, karma, science, dumb luck, personal intellect or hard work. What would happen if we slowed down to consider that perhaps it was the hand of God interceding to bring blessings, arrange encounters, protect from danger? I think we might see the glory of God. I challenge you to spend some time after each day this week reflecting on how God was showing his glory to you this week. Maybe it’s something you share as a family or small group over dinner. o When you’ve been transformed by the glory of God, you reflect his glory to the world. o Paul began this chapter by using the changed lives of people who have come to see and savor the glory of God in the gospel of Jesus Christ in order to authenticate the same message to others. o Just as Moses saw the radiance of God and was visibly changed, so too he then radiated that same glory to those around him. o One of the best ways other people can catch of glimpse of the character of God is in the lives of his people. o Admitted, the world will see the reflection of God in us through broken mirrors. o We are all still being transformed from one degree of glory or another. o And though we cannot lift the veil that covers the eyes and hearts of people, we can be prepared to show them God’s glory the moment the veil is lifted. o I pray for a church so reflective of God’s glory that for those who’s eyes and hearts are open, they would behold his glory and be transformed from one degree of glory to another. Why can Christianese be a harmful thing when used by Christians? What are experiences you’ve had where the beauty of it caused you to radiate with happiness? How can glory be defined? Why is magnifying God like a telescope more helpful of an analogy than magnifying him like a microscope? Why should Christians be concerned about the glory of God? How has seeing and savoring the glory of God changed you? Where is your life a poor reflection of the glory of God? Point the church back to a God who does infinitely more than what we can ask or imagine. We are DRY BONES, not just flawed people. We NEED the Word of God and the Spirit of God to have LIFE. The church is a TESTIMONY of God’s power to raise dead, dry bones. Purpose: Reveal God’s Love and Mission for the Church. 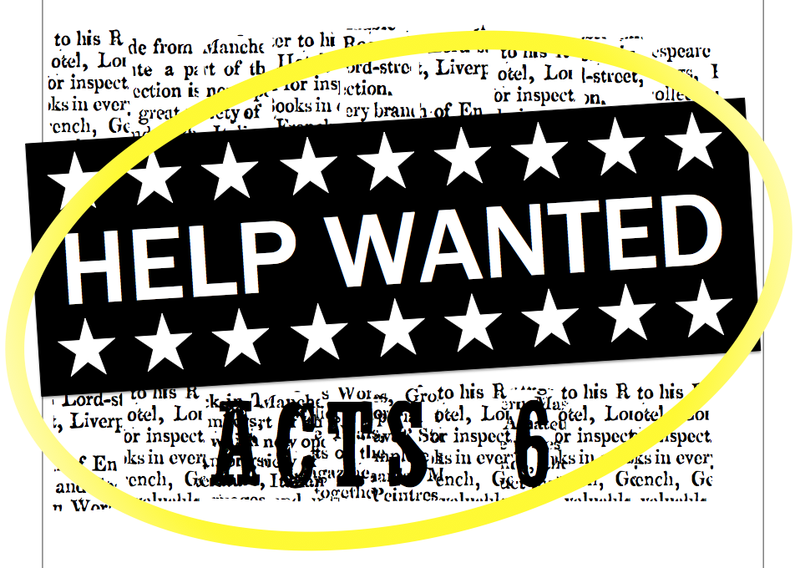 Goal: Recruit & Deploy Keystone Church to Continue Jesus’ Ministry. The Complaint—People are not being cared for. The Solution—Select volunteers who are suited for the work. The Response—People are loved, the Gospel is preached, and the Church grows. Purpose: Worship Jesus as King. Big Idea: The news of Jesus changes everything. The news of a king is worth investigating. The news of a king is a threat to the throne. The news of a king demands a decision.